First break liquorice swirls, icing blockers and candy cane swirls as many as you can. 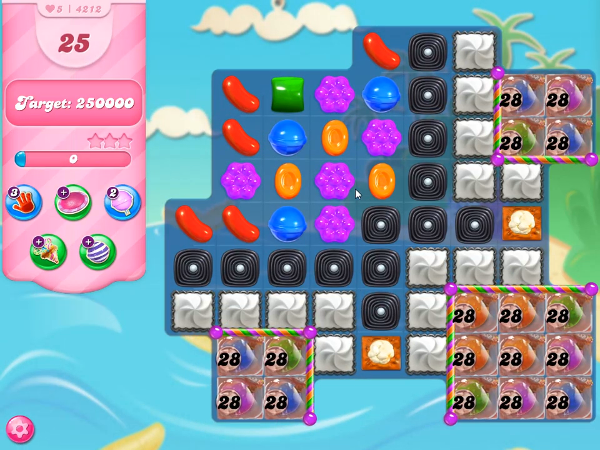 Then make lots of special candies and combine special candies to break all pop corns, remaining icing blockers, liquorice swirls and candy cane swirls to reach the target to complete the level. Also take care of 28 moves time bomb candies.